The first step up transformer (SUT henceforth) I ever used was an Ortofon that looked like a battery with wires coming out of it. I switched to a battery-operated (2 D cells) pre-preamp dubbed JC-1 from a little startup company called Mark Levinson. I was really surprised a few years ago to discover that some of the most musical sounding and expensive preamps used internal SUTs instead of a high gain stage for the moving-coil input. These included preamps from companies like Audio Note, ARC, Cary, EAR, Hovland, Shindo, and others. 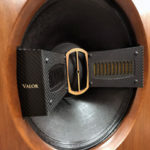 As I began to check into things it seemed to me that transformer designs had taken a major leap forward during the past few years and companies like Audio Note, Auditorium 23, Kondo, and Shindo were making really exceptional standalone SUTs. There are two basic ways to play a low output moving coil cartridge, either with a head amp or with a step-up transformer. A SUT, unlike a head amp, can match the impedance value of your cartridge to the phonostage. What complicates all this is that no standards really exist and the input impedance also changes with the frequency. So the importance of getting a proper impedance match between the cartridge coil and the step-up transformer cannot be overstated. A step-up transformer is an impedance conversion device designed to match the output parameters of a good MC cartridge and thus can provide a better interface than can be achieved with a resistive load and pure gain. This leads many people to think the big advantage of a step-up transformer is that you eliminate an active gain stage. Truth is a correctly designed transformer, unlike a resistor, can properly match the load of a MC cartridge. A transformer also helps control the coil in the cartridge much like what happens between the speaker coil and the output transformer of an amp. It seems from what I can read that an active moving coil section that uses a load resistor with enough gain does not control a moving coil cartridge like a well designed SUT. The AN-S8 SUT is wound with Audio Note’s custom-drawn, 99.9% pure silver wire on a very large, fully interleaved, mu-metal 250 core. It is housed in a painted solid copper chassis. 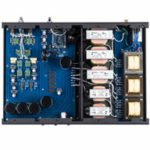 The lower priced Audio Note step-up transformers allow the user to switch between different impedances, but the AN-S8 does not because Peter feels the trade-off in sound quality from the multiple taps on the transformers and the switches is too great. 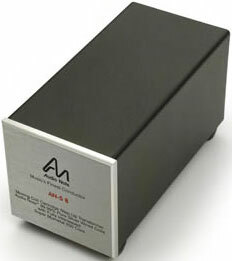 Thus, the AN-S8 comes in one of two versions, 1 ohm, and 64 ohms. The one I was loaned was the 1 ohm version since it was the closest match for my phono cartridges. The AN-S8 input and output connectors are Audio Note’s superb silver RCA jacks. The construction quality is very good. Audio Note warns you that SUTs are quite sensitive to positioning, or hum will occur, but I did not find this to be the case. That is as long as you run a wire from the ground lug on the back of the AN-S8 to the ground lug on your preamp. I also attached my tonearm ground wire to the back of my preamp. With this setup there was absolutely no hum with it sitting only a few inches behind my preamp. I had five MC cartridges on hand, but really only the Micro-Benz Ebony TR, the Miyabi Standard, and the Miyabi 47 (review to come) were really ideal matches for the AN-S8. Also, both the EMT mono and the Allnic Verito (review to come) both sounded very good with it. I first used the AN-S8 with my Miyabi Standard cartridge, but in general the following comments apply to all three cartridges. I want to tell you, this is a match made in heaven. With the S8, my system had an ability to have real body and vivid color. Let’s talk about how it sounds for a minute. This is an area where the AN-S8 was subtly sublime. Well, how subtle it is will depend on how good the SUT you’re comparing it to is. 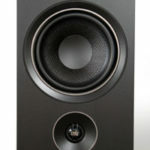 The midrange is not better in any of the audiophile ways. It is simply more complete and much more realistic sounding using the AN-S8 in my system. Take the way the AN-S8 played cymbals; it did a better job with cymbals than I had ever heard. It gets the body and color of cymbals magically right. This is something that some SUTs do fairly well, but not to this extent, and head amps don’t even get in the game. Likewise, voices sound very human and beautiful. The AN-S8 does an amazing job of keeping an MC cartridge from ringing even the slightest amount. Listening to “While My Guitar Gently Weeps” from the Beatles album Love, I was so caught up in how beautiful the guitar sounded. It gives you such quick fast attacks that are followed by beautiful, full decay. This lets you hear different layers and timbre of the instruments. The AN-S8 simply allowed my system to play strings with so much more realism than I had heard before. The very top-end was open, sweet, and to me just beautiful to listen to. It allowed the music to come to life in a way that just sparkled with musical realism. While the top-end was very extended, it never came close to sounding analytical or etched. 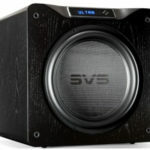 I have to admit I was shocked by how much the AN-S8 improved the bass and lower midrange. It reproduced drums, acoustical and electric basses with incredible impact and a fundamental musical realness. The amazing thing was that it allowed you to hear this air and warmth without even the slightest hint of boom, looseness, or hangover in the bass or lower midrange. I found it quite beguiling. Again, it gives you quick fast attacks followed by beautiful full decay that lets you hear different layers of the timber of the instruments. I think this is part of what allows the AN-S8 to play plucked strings with so much realism. This is the last place I had really expected to hear much difference between SUTs, but the AN-S8 gives you more weight and scale. Instruments occupy space in such a convincing way, and the stage has a realistic wholeness. I had on hand the Auditorium 23 Standard step-up device which sells for a mere $975. The Auditorium 23 Standard was designed for use with the Denon 103 cartridges. I use it with my EMT TMD 25N mono cartridge and it works beautifully. It has an exciting sound without being bright or forward. I also find the combination more full-bodied and musically satisfying than any of my stereo cartridges until I heard them with the AN-S8. I also had for comparison the built-in SUT in my Shindo Masseto ($11,500) preamp which uses 6189W and 12AT7 dual-triode tubes to provide enough gain for sources that produce a minimum of 3mV. For low output moving coils there is an extra pair of input jacks that are connected to a pair of amorphous-core step-up transformers designed by Ken Shindo. He has them custom wound in Sweden. They have a 1.1 ohm input impedance and work with great with really low output, low impedance MC cartridges. My Masseto works beautifully with both the Benz Ebony TR and the Miyabi Standard. They each reveal beautiful textures, and enough real music for me to live with forever. Still, the AN-S8 is better. It is simply richer, fuller, quicker, more organic, and in the end just more satisfying to listen to. The last comparison was with Auditorium 23’s Homage T1, their top-of-the-line SUT. Like the AN-S8, it is very expensive and very heavy. The Homage is wound with high quality copper compared to the vast amount of silver used in the AN-S8. This difference may sum up the difference I hear, too. The Audio Note is more lush in the mid-bass and lower midrange. It also has more sparkle in the treble area, whether this is a plus or minus will be system dependent, but what isn’t? The Homage is fuller sounding and slightly more exciting to listen to. They are both way beyond excellent. It is difficult to come to grip with the price of some high-end audio gear. The AN-S8 certainly is one of those. For many it will be difficult to reconcile the price, especially considering its humble appearance. A product like this is certainly only made for vinylphiles who already have an excellent turntable and an excellent preamplifier. If music really matters to you and you can afford it, you really need to hear the AN-S8 in your system.